American Eels can be found in many areas throughout the eastern half of the United States. They are catadromous, meaning that they breed in saltwater and spend most of their lives living in fresh water. In many areas, their numbers have declined greatly in the past decade. This can be due to a variety of factors such as invasive species that compete for their food sources, and dams and other human constructions that inhibit their ability migrate and during the spawn and during their lifecycle. Many fisheries that have American eel in them now are listed as non-sustainable and commercial fishing in them has been banned. In many, however, you may still sport fish for them or fish for them for personal consumption. 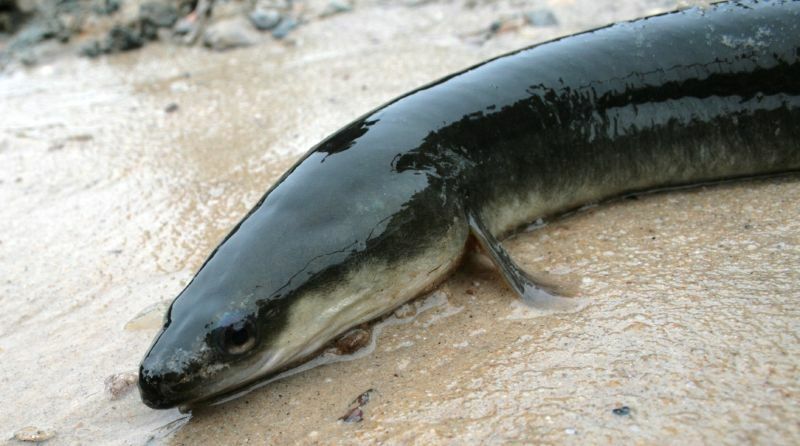 Many anglers catch eels while they are actually fishing for other species such as catfish, but some love to catch and eat this snake-like mud-dweller. One reason more people don’t fish for eel is that they are very slimy. This is a turn off to some, but their protective slime coating can be done away with during preparation for cooking. There are a number of ways that eels are caught. Many anglers use a hook and line similar to a catfish set up. For this, you will need the following fishing tackle, a medium spinning rod from 6’ – 10’ will work well, coupled with a medium capacity spinning reel. Eels have a small mouth, so a smaller hook, for example a #6 – #2 is usually sufficient. Stay away from the light wire hooks, though, as eels are powerful enough to straighten light hooks with very little effort. Using worms or leeches is a good bet. They will stay on the bottom, where the eel is looking to feed. They tend to stay in muddy areas, where they bury themselves and hide during the day. At night they do come out to feed more often, making evening fishing the best time to head out for eels. Live bait works very well when targeting the American eel. Eels have a great sense of smell, which helps them identify any food that may be on the bottom of the lake or river. 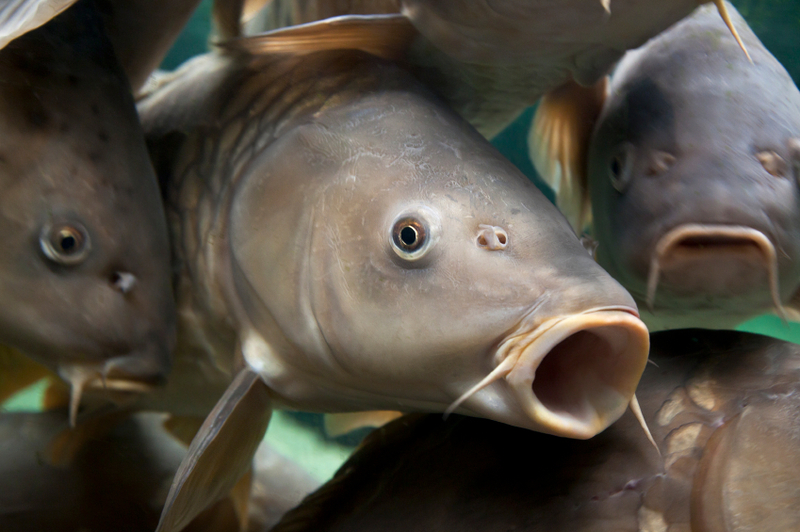 Like many fish, they will eat most anything they can get into their mouth: frogs, snails, crayfish and other crustaceans, small insects, and other aquatic organisms are all fair game for these fish. When fishing for eels, keep in mind that they eat very quickly. Before you realize it, they will have your bait swallowed all the way down their throat, so try to set the hook as soon as you feel the bite. That will help with hook removal. Before heading out fishing for American eel, be sure to check the regulations in the area you’ll be fishing. They may vary greatly from one place to another. Also make sure you check on the methods you intend to use to catch eels. Hook and line is the most popular method, but they can also be caught by long lining, fyke netting, and even trapping. Traps baited with earthworms or even herring are popular. They can be set out individually or in strings or traps and checked every few hours. However, this may not be legal in all waters. It is best to know the regulations before you head out. Once you’ve caught an eel, there are several ways to kill it. The easiest and safest way is to put it in a large container and sprinkle it generously with salt. In about 2 hours, the eel will be killed and most of the slime will be removed from it as well. From there, you will probably want to remove the skin. If smoking the eel, some anglers will leave the skin on. However, be advised that, if there is mercury in the water from which the eel came, it will be concentrated in the skin, so eating a great deal of eel skin is not advised. However, there is a very easy way to skin an eel before freezing, smoking, or cooking. Tie a stiff cord or rope around the eel behind the head and gills. Cut all the way around the eel behind the rope, just through the skin. Using a pliers or something to grip the skin firmly with, pull the skin down toward the tail. You may want to secure the fish somehow first such as nailing the head to a tree or hanging it firmly somehow. The skin will come off in one piece. From there, you should gut the fish and wash it thoroughly inside and out to make sure no blood is left and that you have removed all the organs completely. Once you’ve completely cleaned your eel, you can either cook it or freezer it for later. If freezing, it is best to quick freeze eel in air tight packaging. Because of the high fat content, eel is susceptible to going rancid, so take special care with it and freeze it quickly and fully. Smoking eel is a very popular way to prepare it. It also keeps longer this way. Eel is usually hot-smoked after either soaking in a brine or dry-salted. Your favorite fish smoking recipe may work perfectly for eel, too. Jellied eel is another preparation method that has been used for years. If you’re thinking about looking into it, you might want to find a friend or family member who has been doing it for a while. It can be a complicated process and can take a lot of trial and error to get the jellying process to work properly due to the varying amount of fat in eel. The good news is that almost any fish recipe you have will work great for eel, too. It can be baked, fried, or even grilled. Large eels are especially good when grilled due to their high fat content. If you’re unsure how you’d like to cook it, or to try it for the first time without going to a great deal of trouble, try frying some up. Cut the meat into 2” or 3” chunks. Dip them in a beaten egg or some milk and then roll them in your favorite fish breading or seasoned flour. Fry them until they are golden brown and cooked through. This is an easy preparation method that doesn’t take a lot of skill. It’s also a great way to try eel for the first time. Treat it as you would any other fish. Eel can be a lot of fun to catch and a great meal, too. Recipes for eel are as varied as the tastes of people around the world. The American Eel is having trouble sustaining itself in some fisheries, and many fear it’s future may be bleak. But, with proper management, eel will be around for generations to come to enjoy. Make sure you check the regulations where you plan to fish for that reason. Don’t be put off by the slimy exterior or the snake-like look of these fish. They truly are a delicacy in some areas of the world. If you’re looking for a fun, fighting fish to target that’s also great to eat, try targeting the American Eel.